My name is Rianna. 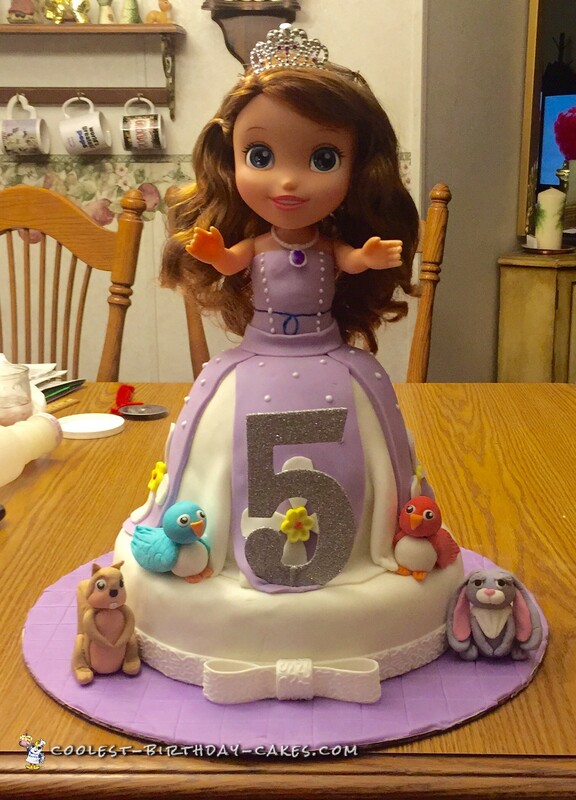 This was started as a regular Barbie cake but Walmart only had the large Sofia doll. I used a Pampred chef mixing bowl for the skirt. I am very impatient when working with fondant. I always end up in tears in the beginning because things don’t look like they will work out but by the end every cake is my favorite. My favorite part of this cake are the gum paste characters. This was my first time using gum paste in place of regular fondant. They were so fun to create. This was made with half yellow and half chocolate cake and buttercream frosting. I add an extra egg and a box of pudding to make the cake hold shape. The little gum paste daisies were inspired by the birthday girl Daisy. The cake was a huge hit at the princess themed birthday party. The host didn’t even want to cut it. Birthday cake idea Posted by Rianna S.